It came on the air in September 1994 and since then has brought entertainment news to millions of fans. And this week Extra is celebrating its 25th season with a reunion of the show's former hosts. 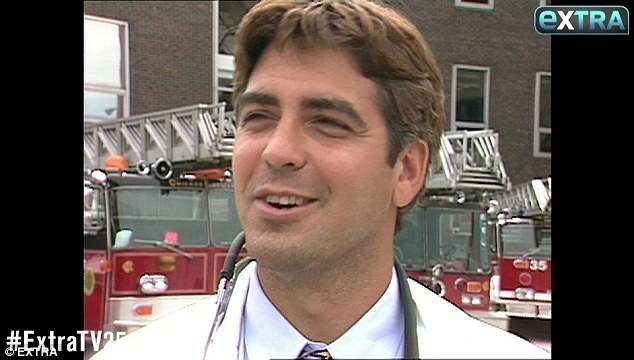 The second longest-running entertainment news show in syndication also shared some throwback video of famous faces when they were very much younger. Among the video highlights is an interview with a youthful Jennifer Lopez early on in the show's history . Wearing a tight sweater and with her hair in loose curls, she answers questions while working out on a treadmill. The In Living Color Fly Girl was just breaking into movies but mused on how the only thing that impressed people was the fact she appeared in Janet Jackson's music video for That's The Way Love Goes in 1993. 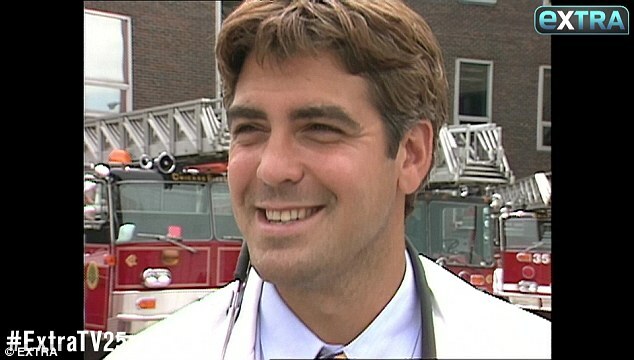 An equally very young George Clooney was interviewed on the Warner Bros. set of TV's medical drama ER in full doctor garb. There are also shots of the actor, who was yet to become an international star, shooting hoops outside the studio sound stage. 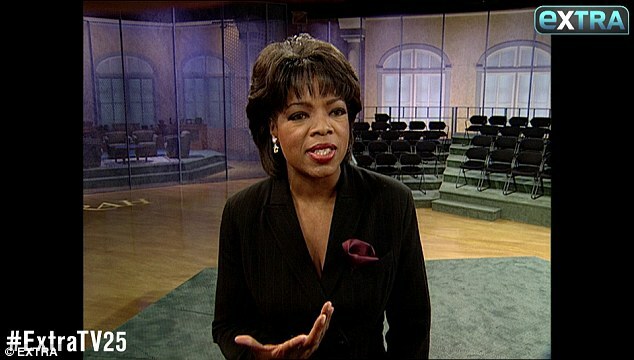 Oprah Winfrey spoke about her 'longing' to act in an interview with Extra and explained how difficult it was to pursue her acting dream because of the huge success of her daytime chat show. Current Extra co-hosts Mario Lopez, Tanika Ray, Renee Bargh and AJ Calloway were joined for a special reunion party at Universal Studios Hollywood by an array of former hosts. Those that attended included the show's first co-hosts Arthel Neville and Dave Nemeth who launched the nightly program in 1994. Other attendees included Leeza Gibbons, Mark McGrath and Dayna Devon, Libby Weaver, Samantha Harris, Jon Kelley, Charissa Thompson, David Rose, Wendy Walsh, Lauren Sanchez and Brad Goode. There was also a huge 350-pound anniversary cake. 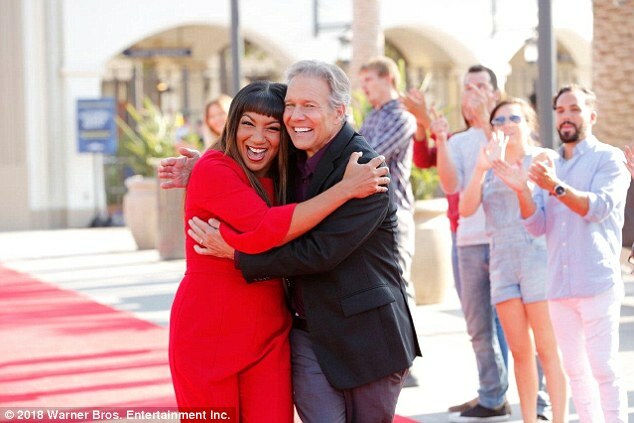 Extra has been nominated for five Daytime Emmy Awards and has won twice for Outstanding Entertainment News Program.